KeyCDN is a high-performance CDN offering transparent, pay-as-you-go prices. "Best CDN service with a very simple setup process." If you are looking for a way to increase the loading times of your website, CDN is the way to go. You can check out KeyCDN which is a really great choice when it comes to installation or setup or the subscription fees. You don't have to spend a lot of money for a good CDN service if you opt for KeyCDN. I personally used KeyCDN and found no issue till date and would highly recommend it to all those who are looking for a CDN service for their website. What really got my attention is How simple it is to setup a CDN and KeyCDN provides a very neat and clean dashboard and things are easy there. PS: You can simply sign up for a Free trial where you can test out the dashboard and their services. I didn't come across any issues till now. You can improve your website speed times by a good margin. "Very bad service & rip-off!" Es mag ja sein das die gut sind, technisch, aber wenn man so mit seinen Kunden umspringt ist das eine absolute Frechheit! 30 tage geld zurück anbieten und dann das Geld nicht zurück bezahlen geht gar nicht! Very bad service & rip-off! Germans are lured to a German-speaking side. You can test for 30 days, you think, but you have to deposit money first, at least 50 USD. So transferred. Unfortunately, we are not satisfied with the performance, so after not even 24 hours expressed the desire to get the money back. NO REFUND POSSIBLE, is somewhere small in the English FAQ's. Thus, the 50 USD are gone, for NOTHING !!! Absolute impudence. That's not what happened to me here !! Ganz schlechter Service & Abzocke! Deutsche werden auf eine deutschsprachige Seite gelockt. Man kann 30 Tage testen, denkt man, aber man muss erst Geld einzahlen, mindestens 50 USD. Also überwiesen. Leider sind wir mit der Leistung nicht zufrieden, also nach noch nicht einmal 24 Stunden den Wunsch geäussert das Geld zurück zu erhalten. KEINE ERSTATTUNG MÖGLICH, steht irgendwo klein in den englischen FAQ`s. Somit sind die 50 USD weg, für NICHTS!!! Absolute Frechheit. Sowas ist mir nich hier passiert!! 3 Tage Geld zurück Versprechen und man erhält nach 24 Stunden GAR NICHTS ZURÜCK! Abzocke! 50 USD weg. Für nichts!!! "Have used KeyCDN for over 2 years now…Highly recommended!" Definitely the user CP. Easy, intuitive. Have used KeyCDN for over 2 years now and if you're looking for a reliable CDN then I would really recommend them. We've never had a single issue with either them, the service they provide nor the control panel which is really intuitive - especially in comparison to other CDN providers, whose CP's can be overwhelming. We have 2 zones, a push and pull config which was extremely easy to set up and was working within minutes. The credit system/pricing is much more affordable than other big CDN providers out there too. We highly recommend them as your CDN provider on your site. Truthfully, there's nothing I do dislike. Never had a single issue. I have recommended two other sites to the service. One I know definitely signed up. They help us managed an easy and affordable CDN for our site. "Great CDN Service for the best price!" The speed and POPs are great for any website. The princing is really affordable for any budget and the setup process is really fast with the plugins for CMS. Also the CNAME setup is really clear and easy to follow. They also support let's encrypt certificates for the setup so you can use a custom SSL for your CDN zones. The minimum amount for the credits should be lower, because some of us have clients that don't use much bandwitdh as others and we don't require to pay that much each year. Maybe if they had video guides about the process, could be much simplier and easier for a user to initiate with KeyCDN. Great pricing and up to 5 websites per the initial credit payment. Also the automatic payments help to keep the account running without issues. Great choice compared to other providers and is cheaper. The plugins for Wordpress made by KeyCDN make the process a lot easier and faster, also because they're mantained by KeyCDN are updated regularly and that is the best to keep a website secure. Speed and browsing response are key factors for any website owner, and my clients are happy with the service provided with their website development that includes KeyCDN as a must in each website. Also the availability of the content is higher and response times are faster for any visitor. Right now high availability and faster response time is the key to a great website and search engine optimization. "KeyCDN = Fast, easy to setup, integrates with with CMS/Frameworks/caching tools and quick support"
Easy to setup and integrate with my framework and caching tools. Great how you can add free SSL's to your custom CDN subdomains. Once setup its all automatic. Yearly recharge required but all CDN tools have this. Free trail will be more than enough time to get setup and the support team will answer your questions. Works seamlessly with caching tools. Customise the domains to link to your own (so create CNAME records, this will look more processional). KeyCDN serves both modern servers and old servers so you may not need to enable all options if you're on a modern server. Start with the minimum credit amount so you can predict how much you really need to spend. Lets your load files, images and data much faster than your own web servers so you save hosting costs and can deliver content with great speeds. "Low prices, awesome included features (SSL, HTTP2, etc. ), great performance"
Take their free trial, that's how I discovered how good it is and why I need it (by measuring website loading times). I've increased loading speed on all websites where I'm using it, and I didn't have to pay an arm and a leg for it. I'm also using their WordPress caching plugin (Cache Enabler), that has also been of great help. "Best CDN for HTTP Video Streaming"
I was looking for a CDN provider that can deliver our HLS Video streaming when I came across KeyCDNs knowledge base about publishing an HTTP Live Stream https://www.keycdn.com/support/publishing-an-http-live-stream. It was the exact solution that we were looking for optimizing our company HTTP Live Stream. Configuring the HTTP Live stream on KeyCDN was very easy. We just follow the instruction on their knowledge base and we are streaming in no time. They also have an advance feature for optimizing the HLS traffic. For now we didn’t encounter any issue with their service. "First experience with a Cdn provider "
As I am developing my business of web apps, I could not pass on a Cdn. 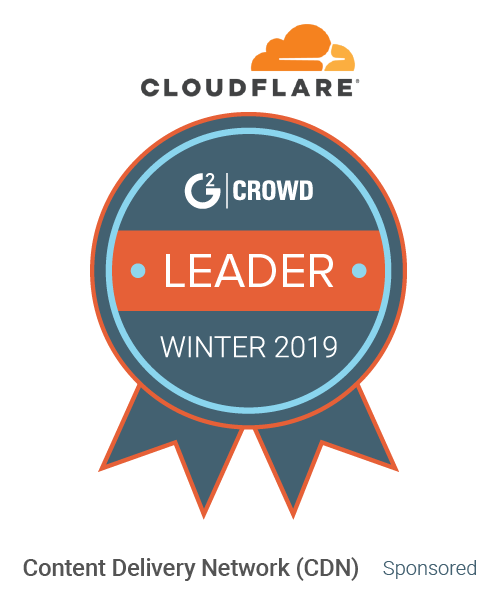 After trying Cdn77, cloudflare or other well-known providers, KeyCdn stood out because of the simplicity of use, the performance delivered and the affordable pricing. I'm going to keep using it for the short ĺand long term. So far, I wished that the credits could be valid for longer than one year. But I guess that is how they do it. And they will surprise you if you ask I'm sure. I recommend KeyCdn for its simplicity, performance and low budget. I'm improving my web applications performance by using a Cdn to deliver static content. I managed to rank high on Google page speed test and have a grade A on pingdom tools. "A very capable CDN with an affordable price tag." It goes without saying that adding a CDN improves the overall performance of a website but unfortunately, many providers are quite expensive (especially for small businesses like us). KeyCDN provides excellent value for money that's hard to argue. I like the credit system they use but wish that it wouldn't have an expiry on them. I haven't had any problems with KeyCDN and I would recommend KeyCDN to anyone who are wanting to start out with CDN services. If your website doesn't load under 3 seconds (or faster), chances are that a visitor or potential customer has already moved on. This is especially crucial for an IT company that wants to create a good first impression. We primarily use KeyCDN to ensure that our sites load quickly for visitors/potential clients. "Key CDN is the best CDN out there "
nothing to dislike really. maybe add some more nodes? Would be awesome to have a node in Bangkok. But the one you have in Singapore is just fine also. The main purpose of this CDN is to make our website and our client's websites and files load faster. Also it helps to reduce the load on the servers. "Great value CDN with free custom SSL (let'sencrypt), HTTP2, and good documentation"
*Features: HTTP2 support... Free custom SSL (let'sencrypt support)... Wordpress integration plugin... Prepay system allows control over spend. *Security: Two-factor authentication... hotlink protection. *Documentation: Good documentation as well as regular newsletters with tips and tricks about how to implement CDN features as well as articles of use to website administrators. Very helpful knowledge base with a good getting started guide for those new to CDNs. *Price: I've found this to be really great value over the past year compared to other CDN providers that I've researched. *Payment options: Ability to pay with Paypal. *Dashboard: Clean, clear information provided in the dashboard (usage etc). *Support: The few times I've needed to contact the support team, they've been quick to respond with thoughtful and helpful answers. The 5 zone limit (although I understand you can pay extra for extra zones), although the limit hasn't affected our site so far as we don't need more than 5. It is something to be aware of if you need more than 5. Prepay credits expire after 1 year. Having an expiry is understandable, but for websites with little traffic it is good to be aware that you might not be able to use up the credit within the year. It would be great to have a system where credits rollover if you top up your account before expiry. Having said that, it's still good value with the minimum topup since you get all of the features that some other providers charge a lot for (custom SSL, etc). Be sure to check out the knowledge base on the KeyCDN site if you are new to CDNs and need to learn about how the various features work. I found it very useful to learn about CDNs generally. Also, their newsletter is one of my favourites to read since they include information of relevance to website administrators, so be sure to subscribe to that too. Also, just be aware of the minimum topup amounts, credit expiry rules, and zone limits (as explained earlier) so you aren't surprised later on. If you're comparing CDN providers, I found it helpful when I was comparing providers to check for what I consider 'hidden fees' for custom SSL certificates, and essential features such as HTTP2. For me, KeyCDN was an easy choice since I didn't need to pay extra for these (thanks let'sencrypt!). The implementation of a CDN for our site was done to solve the problem of variable page-load speeds depending on where in the world the visitor was browsing from. Implementing KeyCDN has helped reduce the pageload time for the site generally. As well, I've since come to learn the other benefits of a KeyCDN, namely, reduced load on the origin server, usage analytics, hotlink protection, and so on. The problem when looking to implement a CDN was that some of the other providers I looked at were charging exorbitant fees for something like a custom SSL certificate, or they didn't have features like HTTP2. KeyCDN has provided a really great benefit to our site in terms of performance, price, features, and support (including documentation and understanding the technical side to a CDN implementation). "Great CDN Provider at an Affordable Price"
The ability to fine tune the configuration of each zone to a specific business goal. The robust set of features available at no extra cost such as: HTTP2, Custom SSL, GZip Compression, HLS optimisation. Quick addition of latest technologies such as the Brotli compression algorithm. The service comes with plenty of advantages. The only potential downside is if you plan on having a large number of websites then you might hit the five zone limit pretty quickly (extra zones are charged at $1 per month). Content Delivery Networks are now essential in a world full of digital media. As more and more users demand faster internet sites, implementing KeyCDN across all of our website allowed us to satisfy the needs of our users. "KeyCDN - The affordable and powerful delivery network"
- I fancy keycdn more over the competitors especially because they allow you the flexibility to use however much traffic you like and you pay for what you use. It's very fair logic, you get visitors you pay. Delivering my woocommerce shop files via keycdn network for faster deliverability. "Best CDN Service in Europe "
I love how quick and simple it was to setup an account and enable CDN for my client websites. They have a huge library of documentation that made it super easy to understand. On top of that, their support team was quick to respond when I needed help setting up my SSL. Free SSL certificates saved me a lot money. There's nothing I found to dislike about KeyCDN. Take advantage of the free trial to compare speed metrics. You'll see all the benefits! If you're looking to keep your SSL expenses low, this is a great way to go. We were running a few slow websites with large images. KeyCDN helped improve our page speed and helped us optimize our images by converting the format to Webp. Wer were looking for a CDN provider to speed up our website and improve the overall performance of our site. As a rather small business most providers were too expensive for us. KeyCDN is not only very affordable but also offers an amazing service. What I also love about KeyCDN was how easy and quick it was to set up an account and enable KeyCDN on our site. Excellent support. Excellent service. Excellent service, support and quality of product. Our main goal was to speed up our website and improve the overall performance of the site. "Great company and fast service"
KeyCDN offers many cutting-edge features that do not cost any extra such as HTTP/2, Brotli support, origin shield, etc. They also have a lot of great documentation on their knowledgebase site and provide lots of insight into performance improvement tips on their blog site. Not much to dislike about the service. Fast support, fast CDN, and an affordable price. One thing that users with a lot of websites should be aware of though is that there is an additional charge of $1/zone/month once you start using over 5 zones. I'm now able to accelerate my site globally. As my site has visitors from all around the world, I was receiving complaints from time to time that the site was slow before implementing KeyCDN. Now I'm able to deliver my static files much faster no visitors no matter where they are. "KeyCDN is really a good CDN service supporting HSTS, HTTP/2"
They have all possible practical features for the HTTP/2 HSTS websites. Easy usage of SFTP software, rsync. One time upfront payment. They possibly need a pay as you go plan. Lack of own anycast network. Raw log not available to block from server side with own rules. Any level of user can use KeyCDN from desktop, using their web GUI, from SSH, via front end, backend web softwares. As I said -- we had to migrate from host to host, it was not easy with lot of websites, business specific things, huge data. We have multiple accounts. For public usage, one can check my technology blog https://thecustomizewindows.com on webpagetest. Our that website needed a faster CDN. We used all possible CDN over past 5 years. I also love Zonealiases (use your own subdomain as CDN URL). Maybe the minimum credit purchase should be a little lower ( now 49 USD). Nowadays having a slow website is a business killer, you must help your business by making it available fast to anyone in the world. If you want to increase the availability of your content and help boost your search engine rankings, KeyCDN is a must. I was having major issues with my loading time on my website, until I started using KeyCDN! Now my site is lightening fast. I have a lot of images on my site so I really needed something good and I would highly recommend them! I also like that I was able to do a free trial first to make sure I wanted to pay for a subscription. No problems as of yet. Have been happy with the product so far! Very slow site bogged down my lots of images. Much faster loading times now! "My CDN choice after much research"
I could state all the obvious benefits like pricing and support but I'm going to go a different direction. I really like their blog articles. They're very useful and informative. It shows they know what's going on. The minimum order point is a little high if you don't have a lot of traffic but it's still only $49. I use KeyCDN to speed up delivery of js and css assets for an e-comm shopping cart solution. "Content Delivery At a Great Price"
KCDN may look like a brand new cdn service, but talking from experience it's a really good one. It offers some of the major features you would need from a cdn and the pricing is simple and let's you save money on by not paying for things you won't use (unlike maxcdn). It has a very neat user interface and dead simple zone editing. For very small projects the trial may be a little short. So we prefer cloudflare in this case. Use to the trail to test the features you need most, i assure you that you will love it once you see how easy it is to get started. Content delivery, caching and ddos protection. Easy dns zone managing and easy to use user interface. "Great affordable CDN for all sizes of website traffic"
I found keycdn after using Maxcdn for a couple years. I was pleasantly surprised that everything I had enjoyed at Maxcdn was available at Keycdn for half the price. It has been a pleasant experience switching to them. I dont have any complaints. The website admin area is well laid out and easy to use. I have managed to speed up the load time of my websites, even those on budget hosting options buy offloading CSS,JS, and images to KeyCDN. It's easy to use and to configure. "Warning Your credits will expire!" I've found this a pretty good product and was using it for some products, especially their usage based pricing model seemed to be exactly what I was looking for. There is a hidden clause that credits do expire - In my case a significant amount of credits did expire and as I did have a credit card on file, which they immediately charged with a significant amount of new credits, immediately after the old ones expired. Be aware that your credits will expire and the support isn't very helpful (no matter if your question is technical or business related) - apart from that it's a great product. "Just an average CDN provider"
Was using a trial account with them for a month. Experience wasn't that delighted to mention. Guess they offered and has many incredible features and because of their poor documentation they couldn't bring that on spotlight. Honestly they has more feature then most of in the market. And those features focused on DNS management most. Price was reasonable but depends on usage, this is not very pleasant for enterprise websites. Whoever wants to have total control over their DNS zones, this service will be the best. Poor documentation and not very beginner friendly. Zone changing takes more time then others. If you are a pro with DNS management and love to play with API mechanism. KeyCDN will be the best for you. Not being a developer I would like to receive more support on doing things for me. You must have some knowledge on how to setup the CDN yourself, since they do not offer this service. "Blazing fast performance and helpful support team"
The performance and customer support is phenomenal . There is no PoP in Colorado or New York. Helps me improve the performance of my blog worldwide. I never realized how slow my website used to be for visitors outside of my country. Since adding KeyCDN my website is much faster for my visitors. It was extremely easy to set up and the response time in support is also great. Nothing so far. I would absolutely love some tutorials to optimize the website further. The speed of the website especially considering it's image heavy. Rapidez en el intercambio de archivos y fiabilidad. Me parece un servicio muy interesante y productivo.,Todas las páginas web deberían de tener instalado en su servidor. Servicio de soporte inmejorable. "Key CDN is a great resource for any business. " Key CDN is fast, reliable, and easy to use. It’s a secure system that allows a great deal of flexibility and a dedicated support team. Nothing, this is a great product from a great company. Improved website performance and functionality. "I have found the cheapest, and fastest CDN for any company, or any size!" The #1 factor I love about KeyCDN would be, hands down, their pricing. If you have a small budget (like me) or if you have a corporate budget, both works great with KeyCDN with their "Pay as you GO" pricing. You only pay what you use for, instead of a monthly subscription payments. At the lowest price on the web of $0.04/GB; I made my mind up this was the company to stick with! You only pay for what you use is extremely important when you start off small. You save money and only spend what is necessary. As I get more money in, I can afford to pay more money out. I love to see my https on my blog. Thanks for using Cloudflare and now KeyCDN, all of my site loads on the https protocol and it didn't cost me but pennies. I'm a firm believer that https should be the default for new websites being made. It makes sense, it's more secure, and it's just awesome. I can honestly say, after a week of researching and comparing prices and benefits with CDN companies, no one currently beats KeyCDN because of the benefits I've listed above. Pricing, Free SSD optimized servers, POP Edge Servers, Free SSL, and it's expandable. You can grow your CDN bandwidth with your business growth. This is more of a neutral for me. When I compare the fact I get 5 zones for free from KeyCDN to other companies, I see it's more than what the competition is giving, but it's still a downer to me since I use multiple websites (over 10.) So it's not a huge deal but it's still worth mentioning. Extra zones over the limit 5 is $1 from your account balance every recurring month. I honestly think KeyCDN could win over thousands if not millions of customers from other CDN companies just because they offer a better business model. I really think if KeyCDN was to start advertising campaigns that were modern and aimed towards webmasters around the web, they could get more business. So I dislike that it took me this long to find them. I would have joined them a long time ago if only I saw an ad earlier! Give it a shot and you won't regret it! I believe they still offer a free trial to new users without even needing your payment information. Once you implement it, you can see drastic speed improvements. I know I did! If you do have questions, give them an email and I'm sure they'll try to help you out best they can. I've had to email them a couple of times about questions, and typically got an answer back within 24 hours on business days. "Reliable and easy to setup CDN service"
Lots of available settings to fine tune the service to your needs. No major problems so far. Just some suggestions: better statistics (eg, nodes load stats), more advanced process of cache purging, a hint popup when entering a request. We've been creating free products for designers and developers and the quality of service is our top priority. KeyCDN hasn't failed us once. "One year experience with KeyCDN"
Easy to setup and monitor load via web interface, all resources are automatically pulled and cached I just need to put Keycdn url and it's ready to use. Maybe overkill for small projects since unused credits are valid one year after payment. I tried to minimize content load times for worldwide visitors and I can say that that task was successful. "Affordable for new businesses to start with. Good support"
Credits expire in a year if you don't use them. I wish they could either last forever or last for two years. Try KeyCDN and try Amazon's CDN and see what works best for your business. The credit system is okay. Would rather just have them bill for usage. We use KeyCDN for our travel channel. It needs to be fast everywhere in the world. I like how easy to setup it is. They have plenty of powerful features. like Free SSL via Let's encrypt and HTTP2 support. They also offer zone aliases, which is something that I love because it looks professional. They're also the cheapest service I've found on the market, but they're a really good CDN. You have to consume your credits within a year or they expire. Speed up Wordpress Websites, which are far away from the servers. "Excelente serivicio y simpere en linea"
Lo que mas nos gusta es que nunca se cae y acelera los tiempos de respuesta en nuestra pagina web. Aparte el soporte es excelente. Lo otro que nos gusta que tiene Data Centers en mexico cosa que otras compañias no las tienen. Lo mejor para acelerar tu pagina. hasta el momento no hay nada que podamos comentar. Excelente compañía. Lo que resolvimos es que aceleramos el tiempo de respuesta de nuestra pagina web, eso ayuda a que no se vayan los clientes. Nothing so far, I haven't seen anything that I don't like yet. We really like the fact that you are billed on a per gigabyte basis, meaning you don't have to pay for unused bandwidth. Secondly it's very fast, reliable and the dashboard is a pleasure to use. So far, so good - haven't run into any issues using the platform. Really recommend KeyCDN to others looking for a fast, yet great value content delivery network. KeyCDN allows us to spread static site assets across multiple locations, meaning end-users get a fast and more seamless experience. "One of the CDN services out there KeyCDN"
It's a powerful cdn service just like maxCDN for a fraction of the price. It's cheaper because it lack some of maxCDN included features, but those are optional for a lot of people so the trade is ok. It could use some minor improvements in support service. Other than that it's a great service to use for small and big projects. Try it before buying so you can have a real experience with the service. "very Good CDN service fromKeyCDN"
- The most important part for me is a great support. They are fast and problem solver. - Support let's encrypt certificates. My web store reached very nice results in terms of speed. This results in more sales and more customer engagement. "Best CDN With Powerful Features"
Keycdn doesn;t provide Live Chat Support..
"KeyCDN the best competitor of maxCDN"
Keycdn is almost like maxcdn (i talk this way because i used maxcdn before using keycdn) it's full of features and is cheaper! They offer free secure tokens, origin shield and they even block bots attacking your site. The monthly fee is also cheaper. Nothing to dislike keycdn should grow well as they are doing right now. Use the trial and check if it fits your needs. Content caching, site protection, content delivery , site speed up. "A budget CDN. Good for projects with a tight budget." As far as I know, they're one of the cheapest CDNs out there. Their service does the trick, specially if the project you need it for has a tight budget. They now also provide free SSL certificates with an easy integration powered by the Let's Encrypt project, which is a nice feature. Unlike other competitors, they don't run their own anycasted network or own any hardware. Instead they just rely on DNS to pick the nearest point of presence based on IP geolocation, which is quite often inaccurate. Amazon CloudFront for example makes use of both technologies, which in my humble opinion is the best technical approach. Pick KeyCDN if you are on a budget and need a CDN that does the job, despite it's not the best one in terms of performance. Also keep in mind that they don't own any infrastructure nor use anycast technology, so they're not as reliable as other CDN providers. But you know, you get what you pay for. Our customer needed a cheap CDN for a video content website funded by advertising. Since they don't have end-users paying for the service, their CDN fits both their budget and expected user experience. "Best CDN service with great price"
I didn't get any issues or blocks till now. "The fastest, cheapest with a dozen of features"
The features that KeyCDN provides are essential and very easy to use and implement. After a year of usage, I can say nothing. Fasten my website performance and make my visitors feel great when they browse the website. Would be great if credits don't expire within one year. Quick and simple admin, free HTTPS, fast and reliable service. * We monitor all KeyCDN reviews to prevent fraudulent reviews and keep review quality high. We do not post reviews by company employees or direct competitors. Validated reviews require the user to submit a screenshot of the product containing their user ID, in order to verify a user is an actual user of the product. Hi there! Are you looking to implement a solution like KeyCDN?